A north-east drilling and engineering company has continued its hot streak of contract wins for global onshore jobs. KCA Deutag (KCAD) said yesterday that it had clinched £41 million worth of new land drilling jobs in the Middle East, Russia, Europe and Africa. A spokeswoman for KCAD said the Portlethen-headquartered firm had managed to secure the raft of new deals since the middle of last month. On February 18, the company revealed that it had won £85m worth of land drilling deals in the Middle East, Russia and Africa. Yesterday, KCAD said tendering activity was picking up, particularly in the Middle East, where an unspecified client has booked three rigs. Those rigs were designed to operate in the extreme heat of the desert and were built in Germany by Bentec, KCAD’s drilling rig and oilfield equipment manufacturer. In Iraq, KCAD was handed a deal for a rig to drill seven wells for a global energy service company. That drilling campaign should start in April and last until early next year. 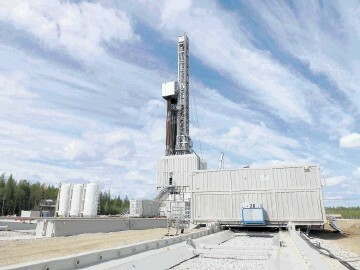 KCAD won a five-year contract for one of its rigs in Russia, where it has been operating since 2002. The company also had recent success in Algeria, where it bagged a plugging and abandonment contract, which commences in June. And two short-term contracts were dished out to KCAD in Germany. They get under way in September. KCAD employs more than 9,000 people and operates in excess of 100 drilling rigs globally. Last year it completed a £480m takeover of rival firm Dalma Energy’s business in Oman and Saudi Arabia. The company will publish its full-year results for 2018 on Thursday. KCAD chalked up revenues of £846m in 2017, down 7% on the previous year, while pre-tax losses widened to £98m from £45m.